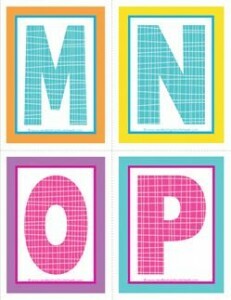 Kids can use these medium alphabet letters MNOP with the rest of the set to spell newly learned words or to identify the letters. Please go to this page to see all the medium plaid and polka dot letters in this set. Digital paper and alphabet graphics Kylie Healey Designs.